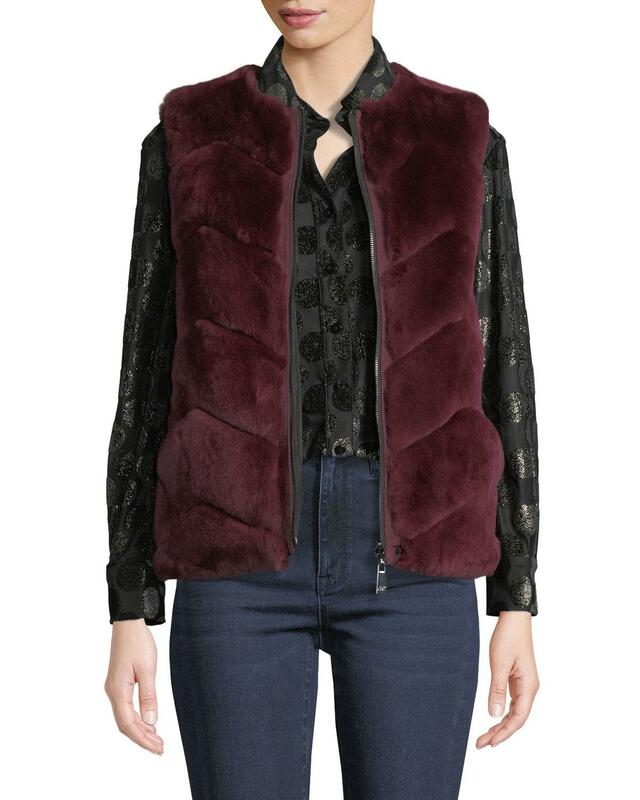 See more Fur Waistcoats and gilets. We check over 450 stores daily and we last saw this product for $250 at Neiman Marcus. Exclusively ours. Belle Fare reversible microfabric and rex rabbit vest. 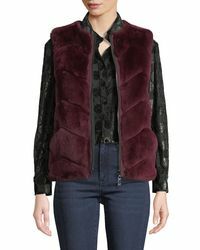 Features dyed rex rabbit (Spain) fur panels in chevron. Round neckline; zipper front. Standard silhouette. Hip-length hem. Polyester shell. Dry clean.